There are 362 districts, 1,933 public schools, and 65 charter schools in Indiana serving 1,040,765 students. 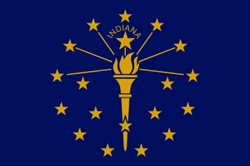 Financially the state of Indiana spends approximately $11,231 per student. There are 62,339 full-time teachers receiving a total of $3,668,623,721 in salaries and $1,771,179,685 in total benefits. 412,945 students receive a free lunch and 84,718 receive a reduced-price lunch.